Dallas-Fort Worth boasts a vibrant network of volunteers dedicated to empowering, protecting, and supporting LGBTQ residents. 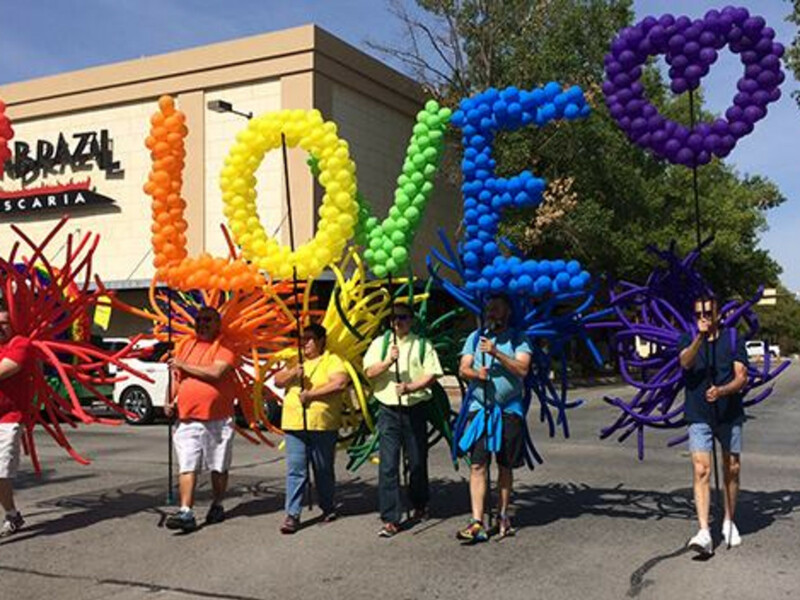 CultureMap's new Dallas-Fort Worth Charity Guide, presented in partnership with Frost's Opt for Optimism campaign, is a one-stop resource for locals looking for ways to give back — including to the LGBTQ community. Each month, we are shining a spotlight on charities making a difference and telling stories that showcase the insightful and innovative ways local charities are shaping our community. Here’s a look at Dallas-Fort Worth LGBTQ-affiliated organizations making an impact, and how you can to get involved, volunteer, and donate to support them. Mission: AOC provides support services to more than 1,600 individuals and their families across all races, ethnicities, genders, ages, and sexual identities. AOC is currently the only nonprofit organization that offers a continuum of support services to the HIV/AIDS community in Tarrant County and seven surrounding rural counties. Its mission is to serve people living with or at risk for HIV with dignity and respect. AOC began in 1986 in response to the HIV/AIDS epidemic among gay males as an all-volunteer organization in order to provide support to those dying from the disease. In just two years, the demand for services from AOC resulted in the hiring of its first two paid staff members, and support quickly grew. Today, AOC has more than 30 staff members dedicated to providing 10 services aimed at preventing the spread of HIV, bringing those newly diagnosed into treatment, and improving the lives of those infected or affected by HIV. How to get involved: Join AOC's dedicated core of volunteers by working in its food pantry once a week, serving as a clerical assistant based on your availability, or helping with specialized tasks like fundraising or marketing. Head here for more info or email volunteer@aoc.org. Gifts of $25, $50, $100, or just $5 per month can make a world of difference for someone living with HIV in your community. Head here to see how you can change a life. Membership: Join the Circle of Hope by committing to give $100 a month or a one-time donation of $1,000. Major fundraiser: AOC's largest annual fundraising event is Evening of Hope, a night of food, fun, and celebration. This event typically includes special performances, keynote speakers, and a live and silent auction (among other attractions). Join as they celebrate achievements, combat stigmas, and honor those who have made a substantial impact locally in the fight against HIV/AIDS. AOC also holds an annual 5K and fun run in Trinity Park. Typically held in October, the 2018 event will be held on December 1 to honor the 30 anniversary of World AIDS Day. The day includes a timed 5K run, a fun run/walk, and Pooches on Parade competition. Head here for more information. Mission: Black Tie Dinner is a nonprofit organization that raises funds for gay, lesbian, bisexual, transgender, and queer (LGBTQ) supportive organizations serving North Texas through a premier event of empowerment, education, and entertainment in partnership with the community. Since its inception in 1982, Black Tie Dinner has been the largest fundraising dinner for the LGBTQ community in the nation. Each year, Black Tie Dinner selects up to 20 North Texas beneficiaries to receive dinner proceeds as well as the Human Rights Campaign Foundation, the Dinner's national beneficiary. To date, Black Tie Dinner has distributed over $22 million. How to get involved: There are a number of ways to get involved with Black Tie Dinner, from becoming a sponsor or a table captain to volunteering your time or donating items. For a full list of opportunities, head here. Major fundraiser: Each year, up to 3,000 guests experience the Black Tie Dinner, a gala like no other with dinner, award presentations, a live luxury auction, and featured speakers, plus an afterparty with plenty of drinks and dancing. Mission: The mission of AIDS Service of Dallas (ASD) is to create and strengthen healthy communities through the delivery of quality, affordable, service-enriched housing for individuals and families living with HIV/AIDS. ASD's mission includes advocacy, education, and the development of affordable housing options and community development opportunities, both for its residents living with HIV/AIDS, and for economically disadvantaged people. How to get involved: There are a variety of ways to get involved with ASD, including volunteering for the ASD Supper Club — a program that provides ASD residents with hot, nutritious meals every night — and helping to stock ASD's grooming supply closet by organizing a grooming supply drive. For a full list of volunteer opportunities, head here. Major fundraiser: AIDS Services of Dallas' largest fundraiser, the No Tie Dinner & Dessert Party, is one of Dallas' most highly anticipated and unique social events of the year. Groups of people across DFW host social gatherings, from backyard barbecues for as few as 10 people to formal dinners for 30 or more. In return for their hosts' hospitality, guests are asked to make a donation of $75 or more to ASD, of which all proceeds go toward housing and supportive services for ASD clients. During the evening, all dinner hosts and guests are invited to the Frontiers of Flight Museum, where more than 1,500 people gather annually for the No Tie Dinner & Dessert Party, an exciting evening of entertainment, dancing, music, drinks, and desserts donated by some of Dallas' finest caterers. How to get involved: Allgo relies heavily on volunteers both in Austin and throughout Texas to build its statewide QPOC movement. Volunteer opportunities include serving on event-planning committees, working events, computer work, DJ services, newsletter writing, designing publicity materials, facilitating workshops and groups, and more. Email allgo@allgo.org for more information. Membership: Being a member of Allgo means that you share in the vision of a just and equitable society that celebrates and nurtures vibrant queer people of color communities and that you commit your time and resources to support allgo. Contact Allgo to sign up to become a member, plus make a pledge for either a monthly or annual donation and/or offering a regular in-kind donation and/or regular volunteer work with Allgo. Major fundraiser: Allgo’s annual Statewide Queer People Of Color Activist Summit brings together 25 QPOC activists from across the state to explore and develop strategies for the coming year, to celebrate accomplishments, and to learn self-care. The weekend-long summit is a space for dialogue about building a movement coming from a place of engaging possibilities rather than a place of fighting. Summit activities and workshops allow attendees to safely engage in dialogue, reflection, learning, and sharing experiences. Mission: Design Industries Foundation Fighting AIDS (DIFFA/Dallas) raises funds for organizations that aid in the fight against HIV/AIDS by providing preventative education programs, treatment, and direct care services for people living with/impacted by HIV/AIDS. 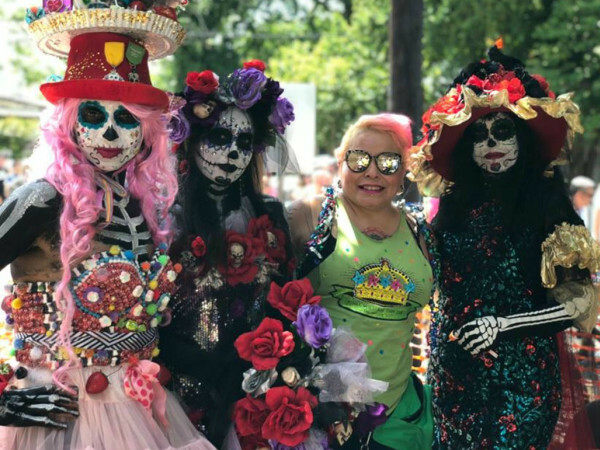 How to get involved: The donations given to DIFFA/Dallas help grant funds to local HIV/AIDS service organizations throughout North Texas, directly impacting the community. DIFFA/Dallas provides opportunities for sponsorships, underwriting, auction, and in-kind donations. You can also register here to become a volunteer. Major fundraiser: Highlighting the design community, DIFFA/Dallas hosts multiple events throughout the season including Burgers & Burgundy, DIFFA/Dallas Wreath Collection, and House of DIFFA. How to get involved: Donate or volunteer here. You can also pledge to fight back against hate crimes, new laws that grant a license to discriminate, efforts to undermine marriage equality, and blocking access to healthcare here. Mission: The mission of the Resource Center is to be a trusted leader that empowers the lesbian, gay, bisexual, transgender, and queer/questioning (LGBTQ) communities and all people affected by HIV through improving health and wellness, strengthening families and communities, and providing transformative education and advocacy. How to get involved: More than 1,100 community members each year donate their time and talents to the Resource Center, which offers a variety of opportunities for getting involved, from serving meals to answering phones, stocking shelves, and helping at fundraising events. Volunteers enable the center to provide superior service to the community. Membership: Resource Center created the Young Professional Advisory Council in 2013 to support the Center's Youth First program. The Young Professionals Advisory Council is a unique giving circle for young professionals (45 and under) who are passionate about providing opportunities for life skills, leadership development, peer support, and educational advancement to LGBTQ youth in the Dallas area. You can become a member of the Young Professional Advisory Council here. Major fundraiser: Each year, the Resource Center hosts the Toast To Life gala, an annual evening featuring a lively theme that help raise money for the Resource Center and its services. Since its inception in 1999, Toast To Life has raised over $4 million to support its mission. Gay Bingo has also provided unique and fun-filled entertainment since 2001. Conducted at S4, Gay Bingo combines drag and comedy, with all funds raised directly benefiting the programs and services of the center.